The KANO Foundation is a group of volunteers Keeping Football Free for Kids. 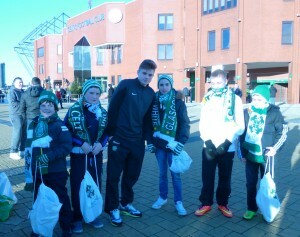 Our mission is to treat youngsters, regardless of background and circumstance, to a day out at Celtic Park. 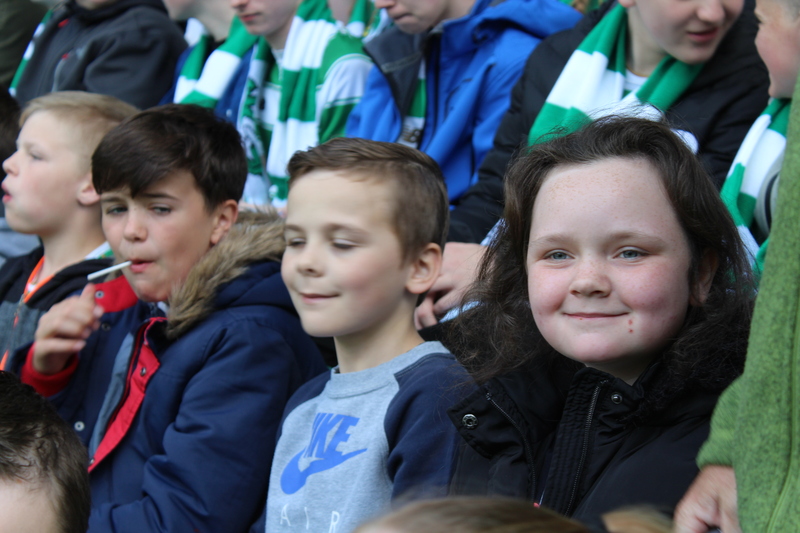 Since season 2010/2011 we have given a modern day ‘lift over the turnstile’ to over 7500 children varying from boys and girls football teams to local youth clubs and young people with special needs. We are fully self-funded and rely on the generosity of the Celtic Fans. We provide the tickets to allow your party (up to 134 children under 13 + 23 adult helpers) into the stadium. Tickets are distributed on a 1 adult to 6 children ratio. You will be met by our volunteers and shown to your seats. The volunteers will be available throughout the match to help with any issues you may have. All children attending will receive a goodie bag containing a KANO scarf, crisps, juice and a chocolate bar. The only cost incurred by your group will be getting to and from the stadium but we are ‘linking-up’ with Celtic Supporters’ Buses across the UK to try and assist with transporting the groups. We regret that due to the location of our seats we can not directly accommodate anyone who needs to use a wheelchair but if you provide us with details of the requirements on your application form Apply we will try our best to make alternative arrangements. All trustees and volunteers give up their time for free, and work on a rota system to cover approx 2-3 games each per season. They have all completed full PVG (Protecting Vulnerable Groups) checks. So what are you waiting for? Click here to apply! If you require any further information please do not hesitate to contact us. Email contactus@thekanofoundation.com.